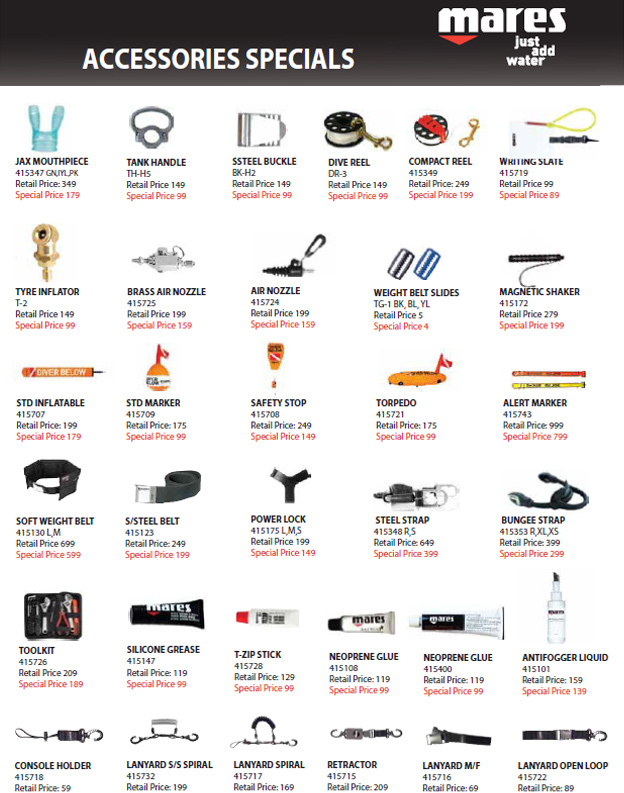 Visit this Scuba Gear Specials page from time to time, as you never know what bargains you may pick up. We offer all brands of Scuba Equipment such as: TUSA, Mares, Scuba Pro, SUUNTO, Reef etc. Also don't forget to click on the Request for Quote link if you are looking for a specific piece of Scuba Gear. Get up to 30% discount off your full set of snorkel gear now! Contact us for your extra special deal on the sets if you dare!!! !